Welcome to Barefoot Benny Personal Fitness, an NYC-based personal training company dedicated to getting you in the best shape of your life with natural and fun exercise programs. On the site you will find information about Barefoot Benny and the advantages of training at one of his boot camps, personalized workout sessions, or barefoot/Pose running clinics. Feel free to send him an email at benny@barefootbenny.com. 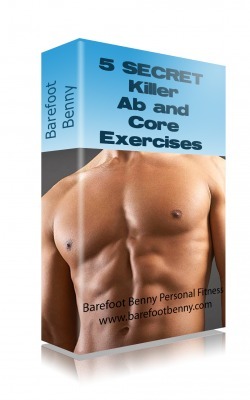 -All Barefoot Benny Boot Camps are 1-hour. Cost is $25. -Ask about discounted 5 or 10 packs! Barefoot Running Clinics are a little over an hour and cost $25. We meet in Central Park. There is a 10 person limit per clinic, so reserve your spot now! *Barefoot Benny ran the ING New York City Marathon on Nov. 4th, 2012! Help him raise money for a good cause! *Sign up for a barefoot running lesson - you're knees will thank you! *Your personal information is secure. I hate spam too! While being completely barefoot is great, it may not always be feasible or appropriate. Going barefoot can also include minimalist footwear like Vibram FiveFingers, Vivo Barefoots, or even five dollar aqua socks from Wal-Mart. Basically anything with a thin, flexible sole and very little to no padding or arch support works for our purposes. Not only is being barefoot fun, but it’s also beneficial while working out, and can improve form while eliminating pain while running.